The Runway Recycled: Anna Sui’s Unexpected Mixes! Another great fall collection that are we smitten with is Anna Sui. She always turns out fabulous prints in fun and exciting hues and patterns, but this season we love the way she mixed unexpected colors and textures. 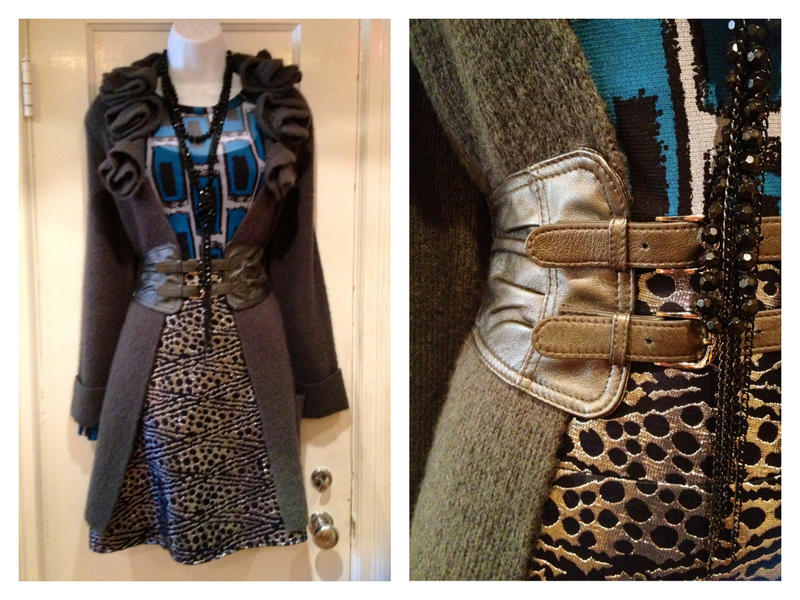 We’ve covered mixing prints before, but now we’ll show you how to throw some heavier textures into the mix for fall! 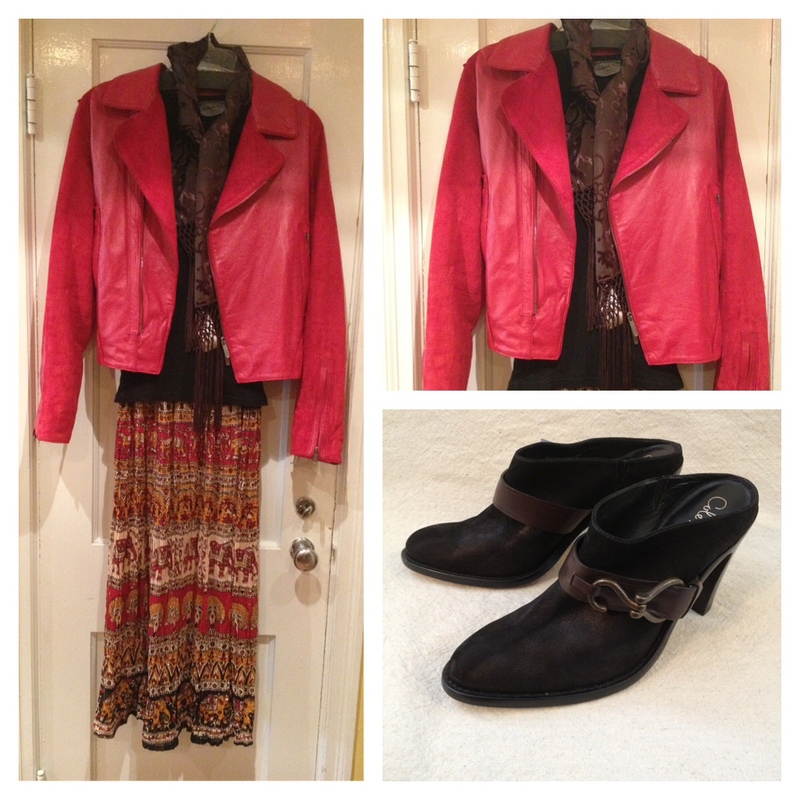 Mix red and pink together for an unexpected ensemble. 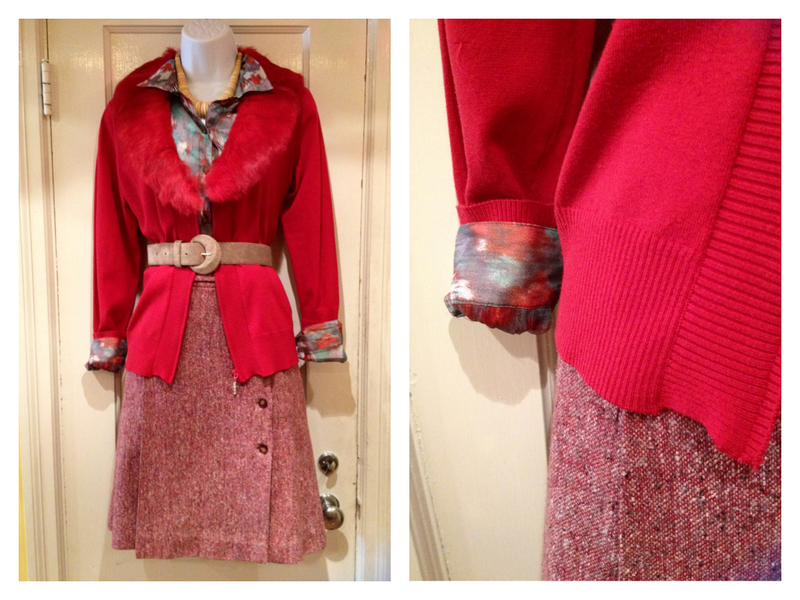 We chose a fun fur trimmed candy apple red cardigan and paired it with a raspberry tweed skirt. We added a sheer printed blouse to balance out the two bright pieces. 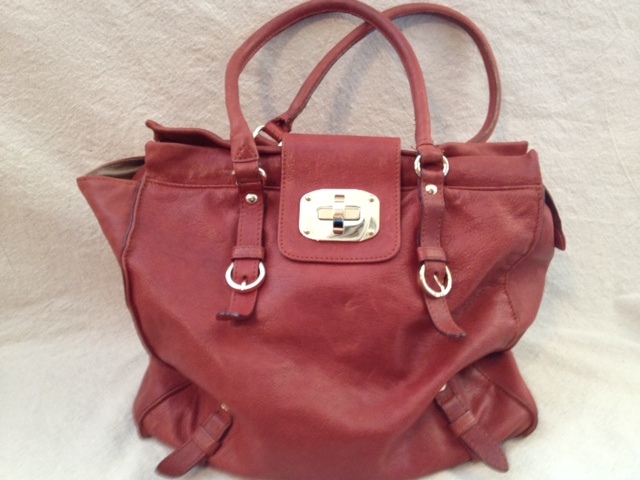 The print works with them because it has a bit of red in it, as well as some gray which acts as a neutral! Pair a striped skirt with a floral blouse and a textured jacket for an easy, chic look. Want to channel Anna Sui’s show even more? 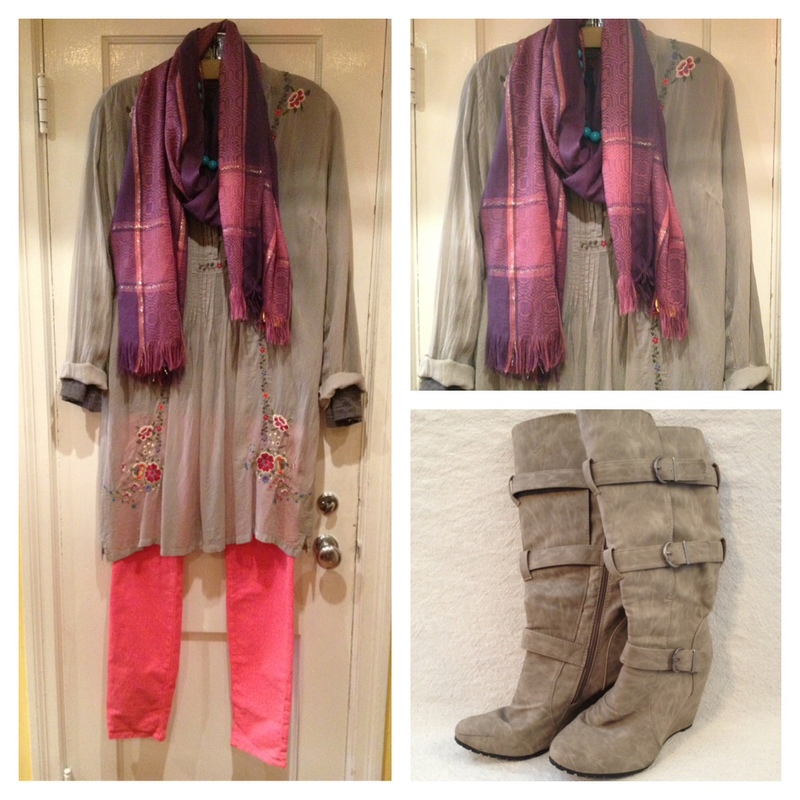 Just add some bright coral tights to the mix! Now get to mixing and matching! Not quite sure how to make a piece work? 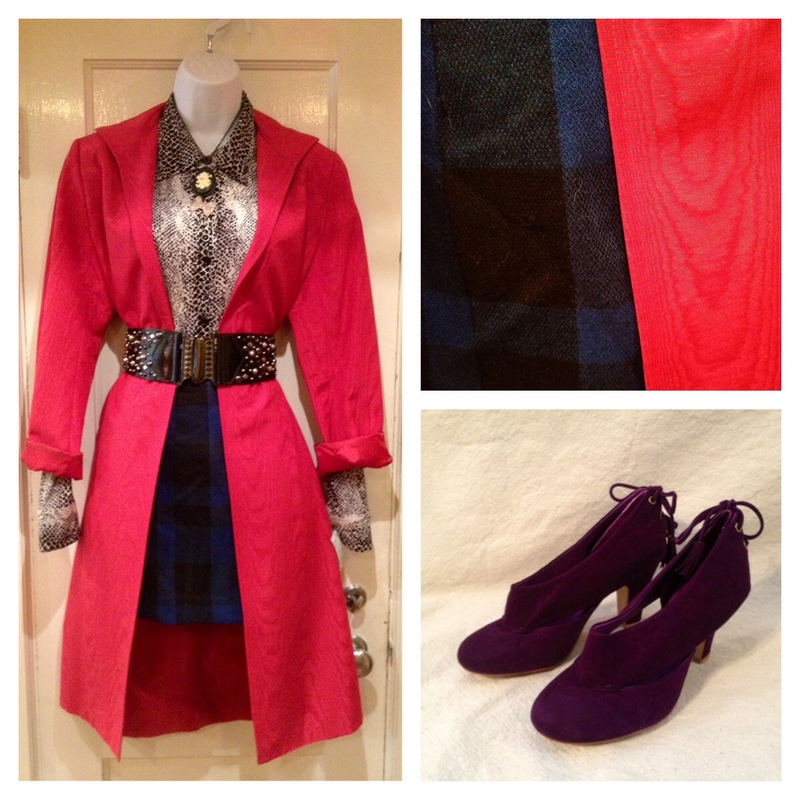 Bring it in and we’ll help you put something together Anna Sui-style! Halloween: Chic Recycled Costume Ideas! 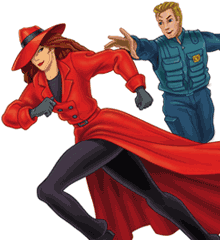 Transform into the elusive thief Carmen Sandiego with a simple red trench coat and boots. Add the hat for some mystery, and you’re off! Now where in the world will you go?! 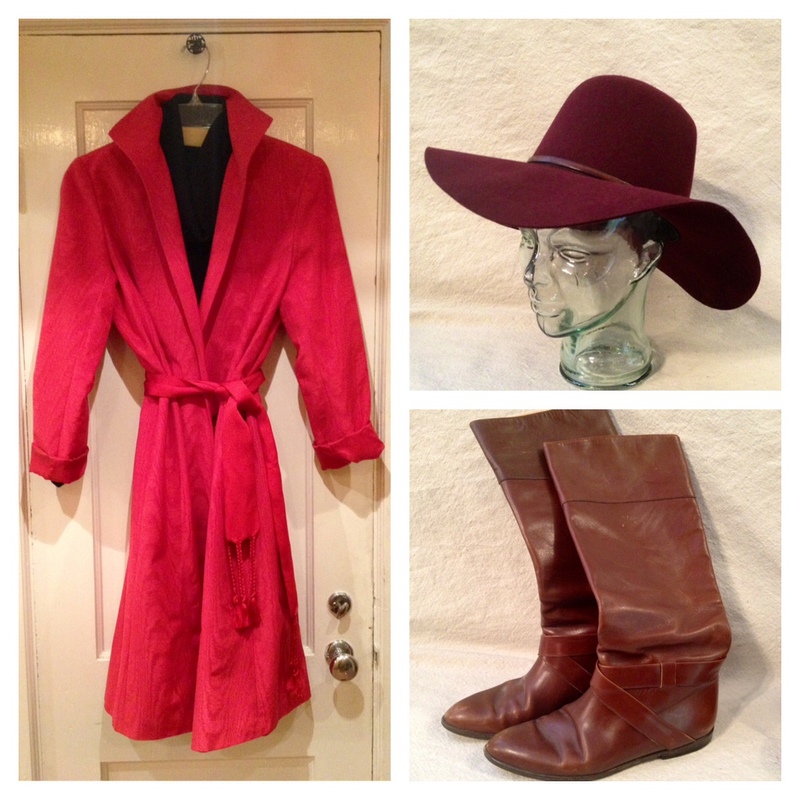 Channel your inner free-spirited music lover by dressing up as Penny Lane from Almost Famous. 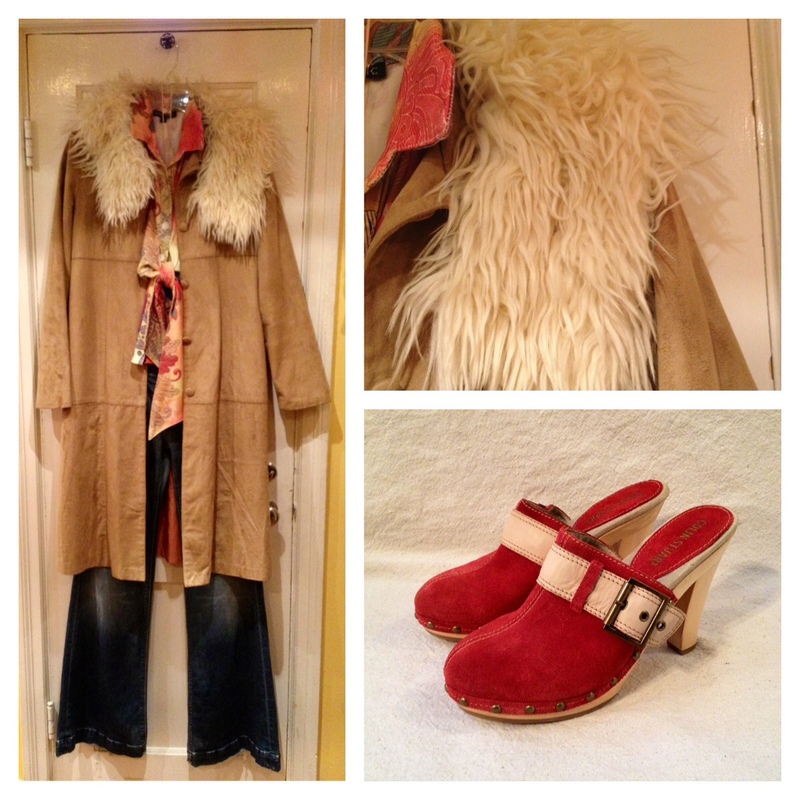 All you need is a crop top, bellbottoms, and a great fluffy collared coat like this one by Lucent! Add some tinted glasses and you’re ready to hop on that tour bus. If you want to go the more classic route, Cleopatra is an oldie but goodie! We wrapped a pashmina style scarf around a simple black maxi dress for a chicer look than draping yourself in an old white bed sheet. And the necklace? 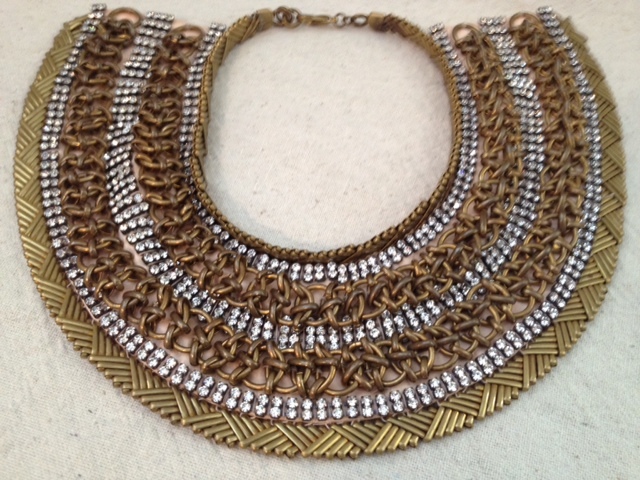 This is one you definitely need to see in person – fabulously fit for an Egyptian princess! 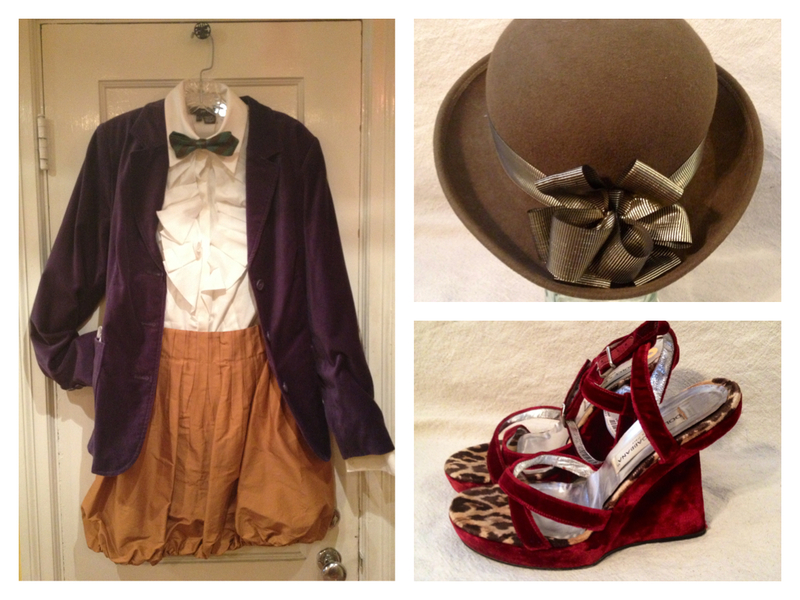 This is our take on a “chic” Willy Wonka. We ditched the dowdy khacki’s for a quirky little bubble skirt and D&G wedges. Don’t forget your everlasting gobstoppers and golden tickets! *Oompa Loompas not included. Have some other great costume ideas? Come by the store and we’ll help you put it together! Just humor us for a few minutes and take in all the Wonderful Fabulousness of these gorgeous designer pieces we are lusting over for Fall. 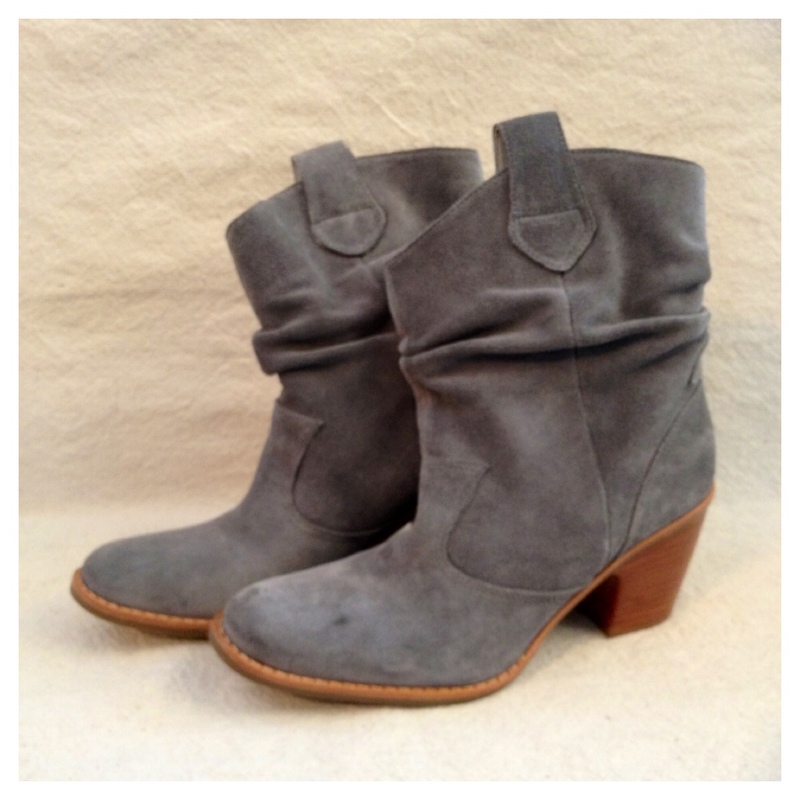 What more could you ask for in a bootie?? 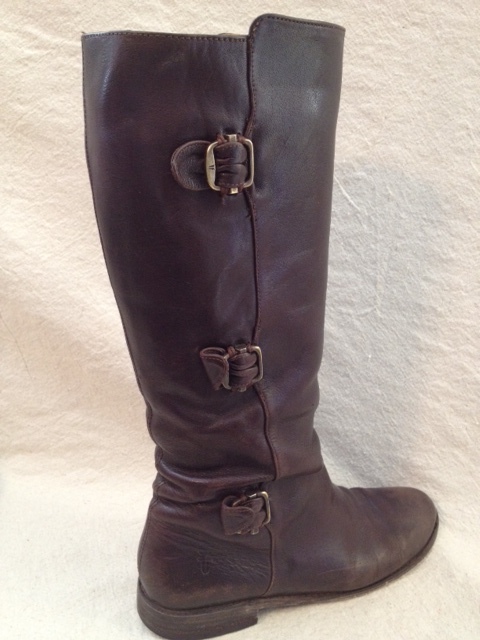 Okay, so you like riding boots? Please hold your applause until after the show…. 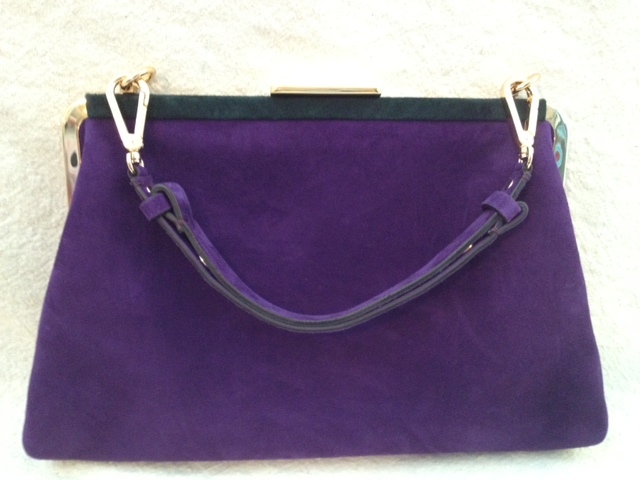 Oh tote! I shall carry thee around every day and every night! I promise if you buy this for me I’ll wear it everyday! With dresses or tee shirts….I’ll wear it to the swimming pool even! you make me happy when I am sad. 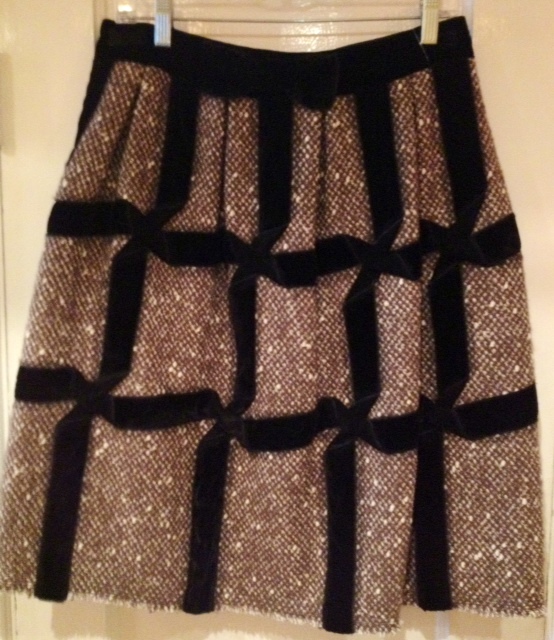 Please don’t take my Abalone away…..
Tell me you wouldn’t live in this skirt during the Fall and Winter. 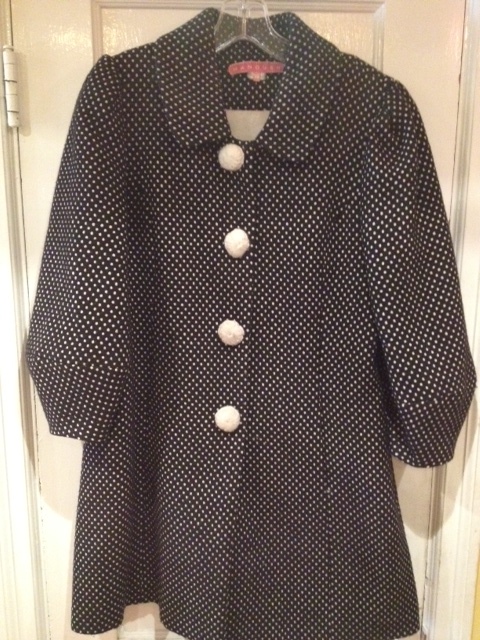 Wrap your polka dots around me Coat, and keep me warm this Winter! 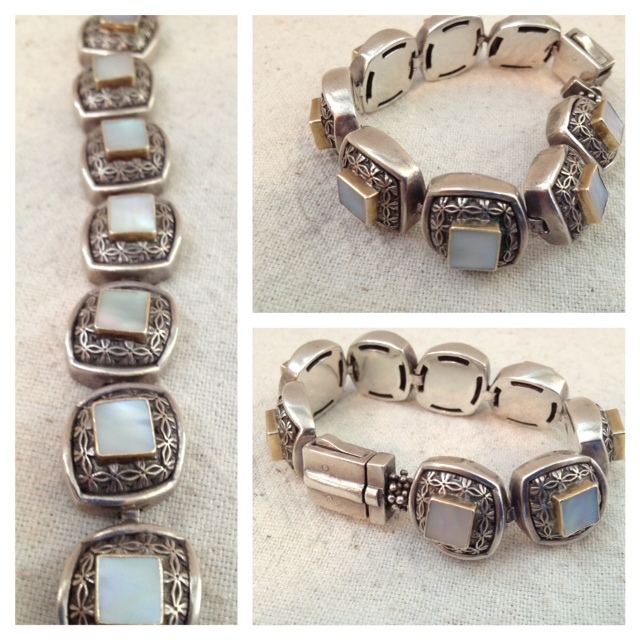 Yes, we have more items here; but you’ll have to come in to see them in all their grandeur! How to Bring your Brights into Fall! Fall Fashion doesn’t mean tossing all those fabulous colored pieces in a storage bin and donning the average black sweater and scarf combo. Here are a few ways to bring those wonderful brights into your fall wardrobe. Try mixing a bright graphic print with another bold and neutral printed piece. Did you hear? Cobalt blue is the new black! 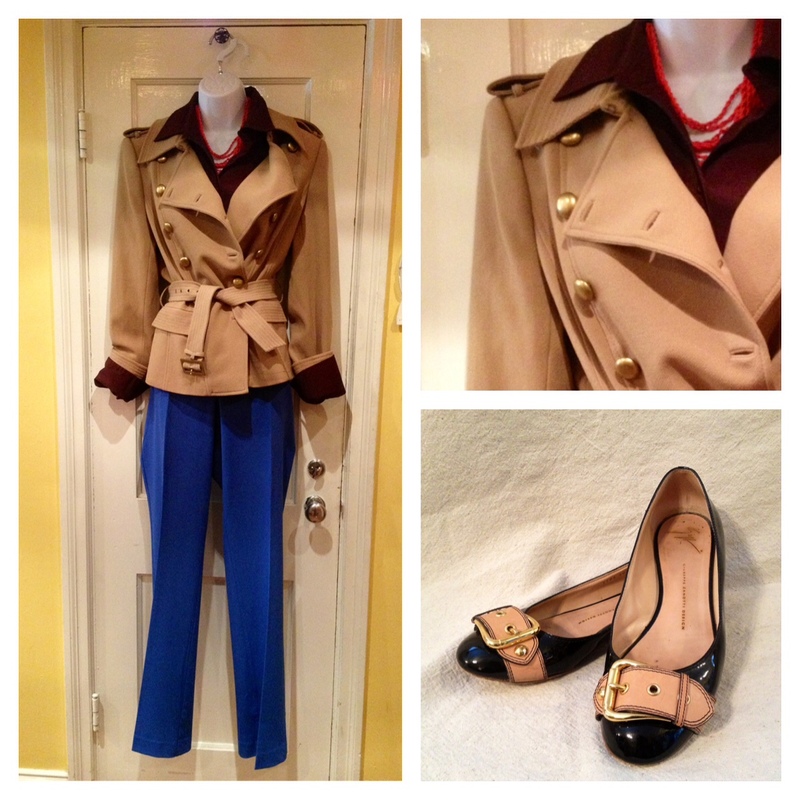 Match this wonderful bright color with your favorite neutral jacket. Just go for it! 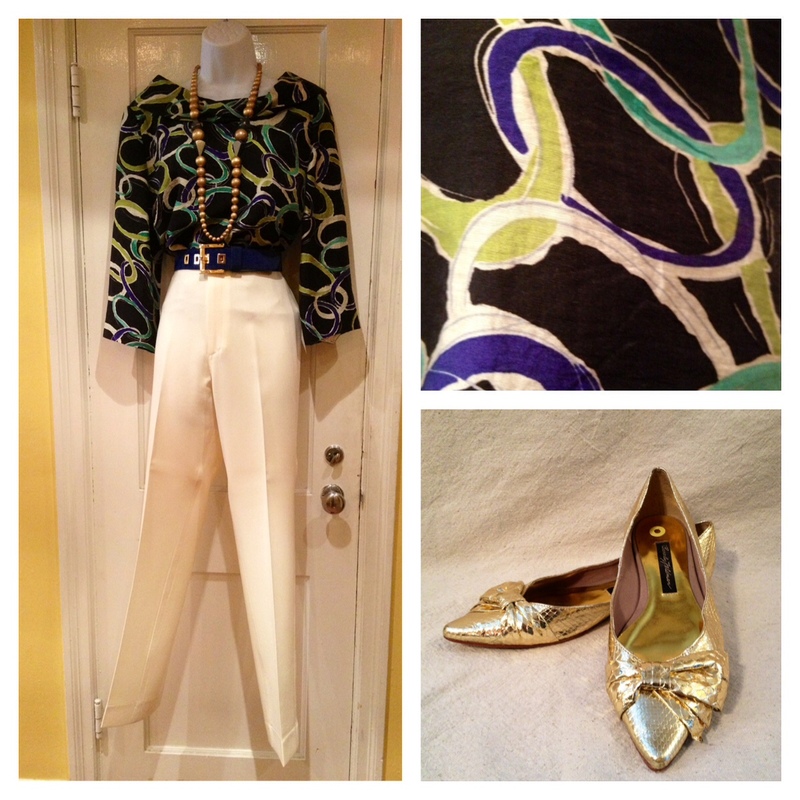 If you want to do winter white why not wear it with a colorful graphic print top and a chunky necklace. 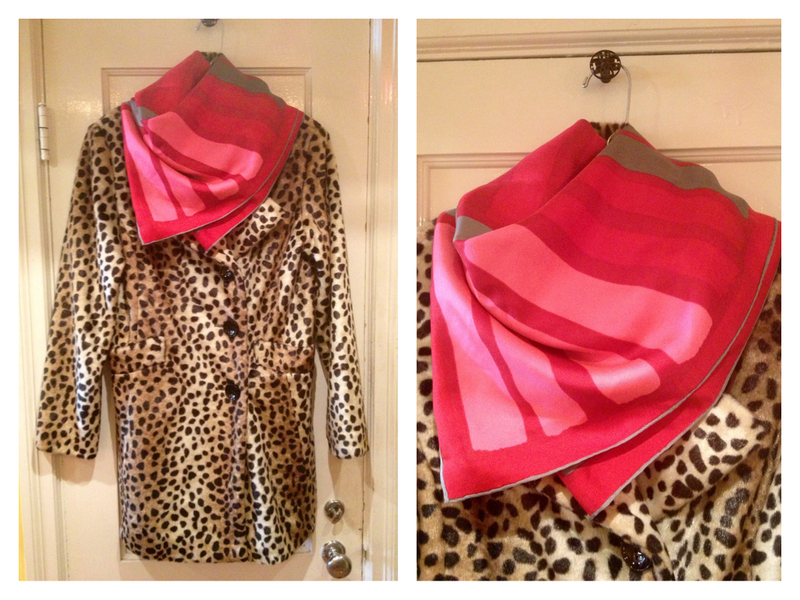 Make your coat part of the statement by mixing a bright trench with various patterns, prints, textures, and colors. 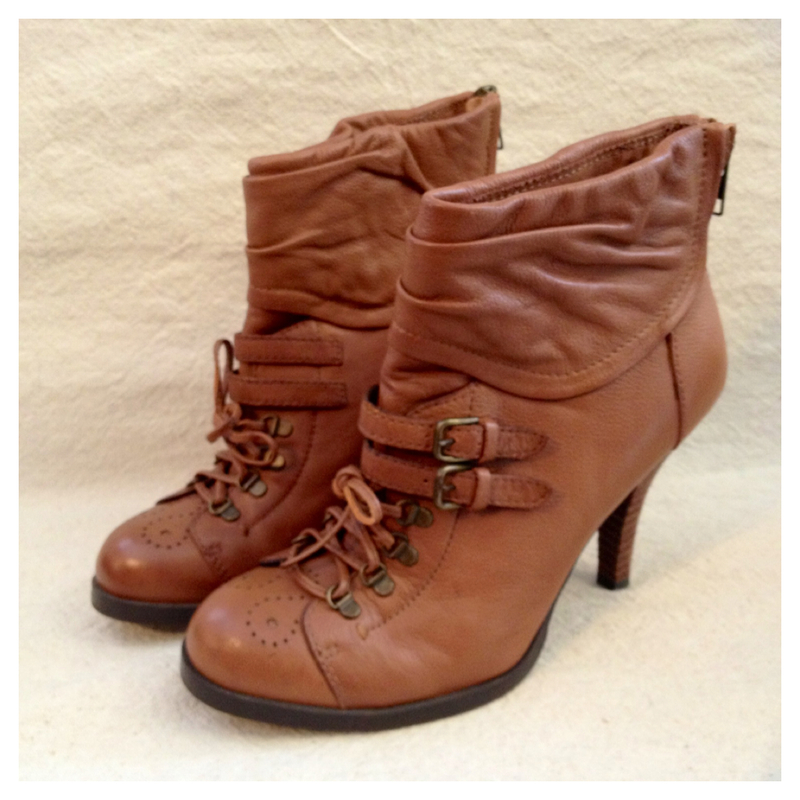 Don’t be scared to even pair it with purple suede booties! Nashville is buzzing with fun fall activities like free concerts and pumpkin festivals. 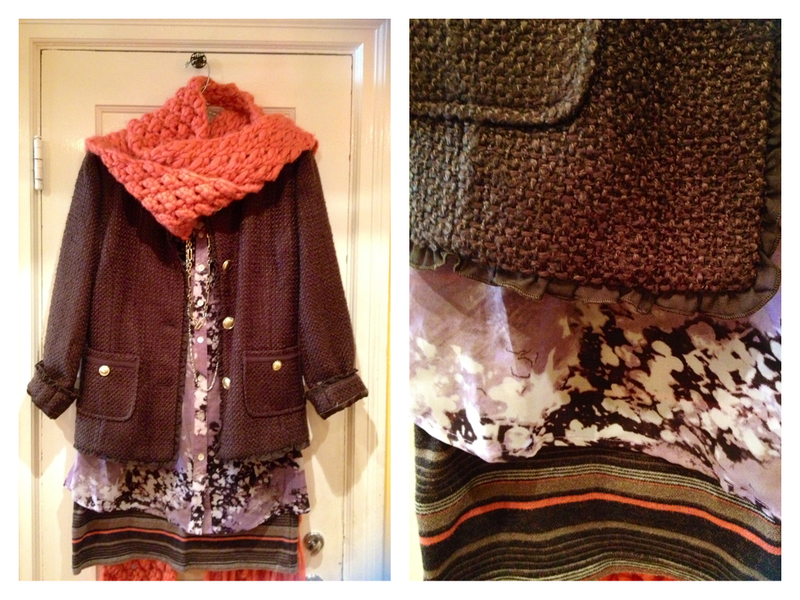 We’ve created a few great fall looks to be worn indoors and outdoors for those spooky corn mazes and free music. Thinking of attending the first Music City Roots even tonight? Try some printed denim and an oversize sweater. Or pull out your peasant maxi skirt and a leather jacket to wear to the last Live on the Green event this season. Try out your new colored skinny jeans with a tunic at the Halloween Hootenanny at the Municipal Auditorium for a gruesome time. Thinking of the festive Harvest Moon Ball this year? 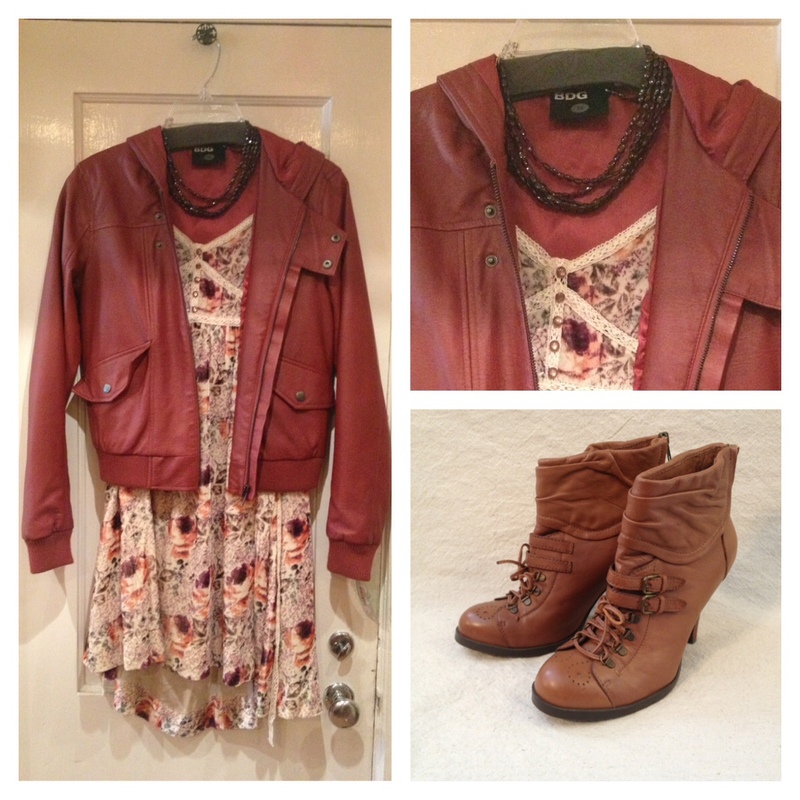 Mix a velvet floral dress with a trendy oxblood leather jacket for a casual chic look. 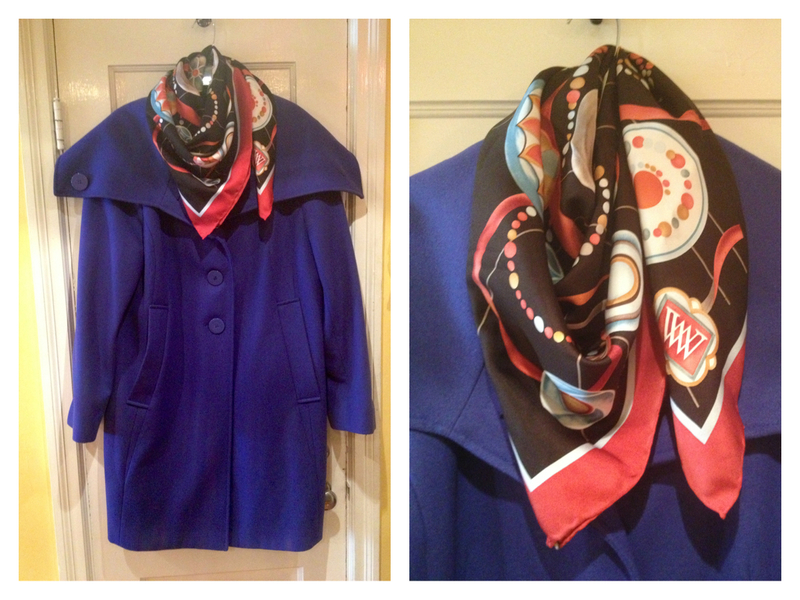 Pair a bright coat with a graphic scarf for fun cold weather look. 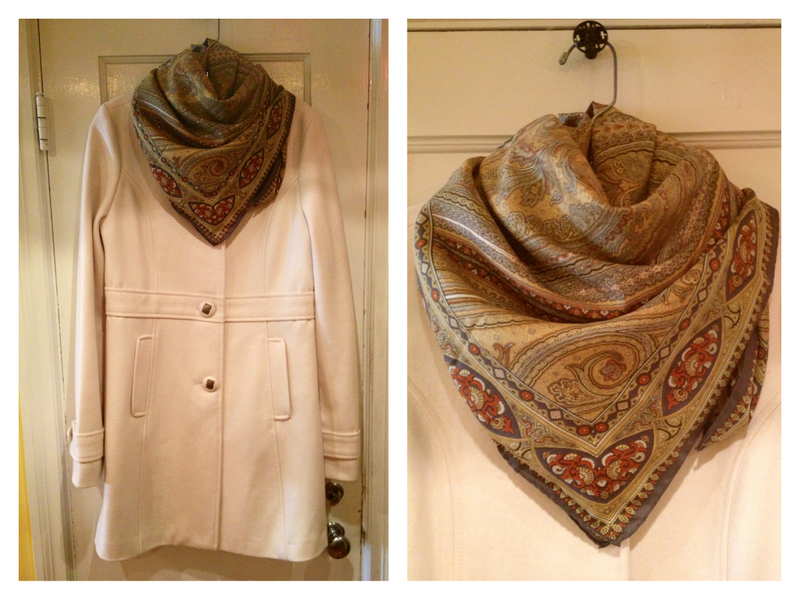 We draped the scarf around the neck and pulled one end to the front for an easy-going yet chic way to show off the print. 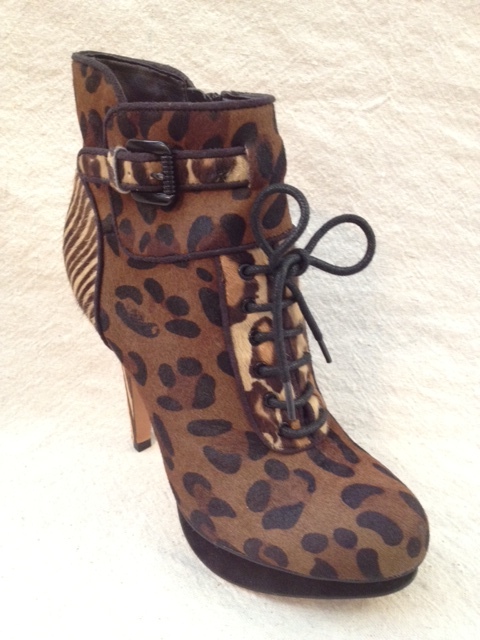 If you’re like us, you can’t wait to break out your faux leopard coat for fall (Don’t have one, you say?! We have a few… 😉 ). Pair it with a bright striped scarf that pops against the neutrals of the animal print for an eye catching and funky look. 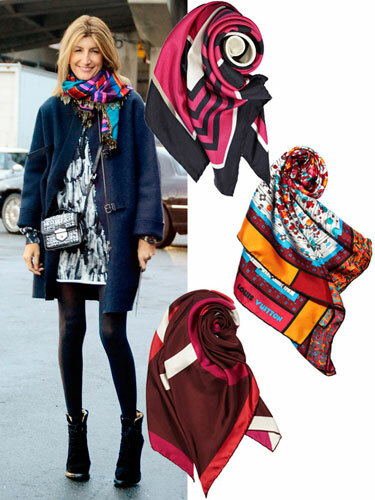 How will you wear your silk scarves into fall?